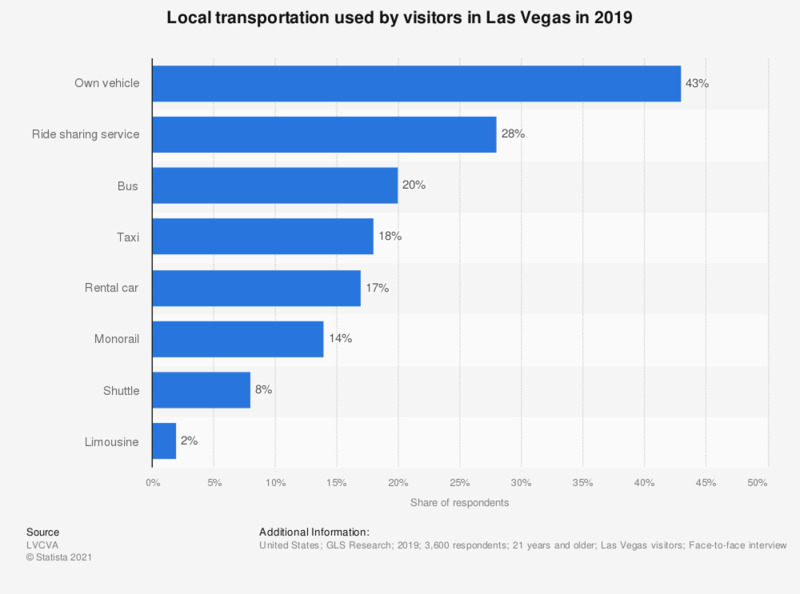 This statistic shows the local transportation used by visitors in Las Vegas in the United States in 2017. During the survey, 19 percent of the respondents said that they used a ride sharing service while they were in Las Vegas. Are you worried about indoor air quality in transportation?